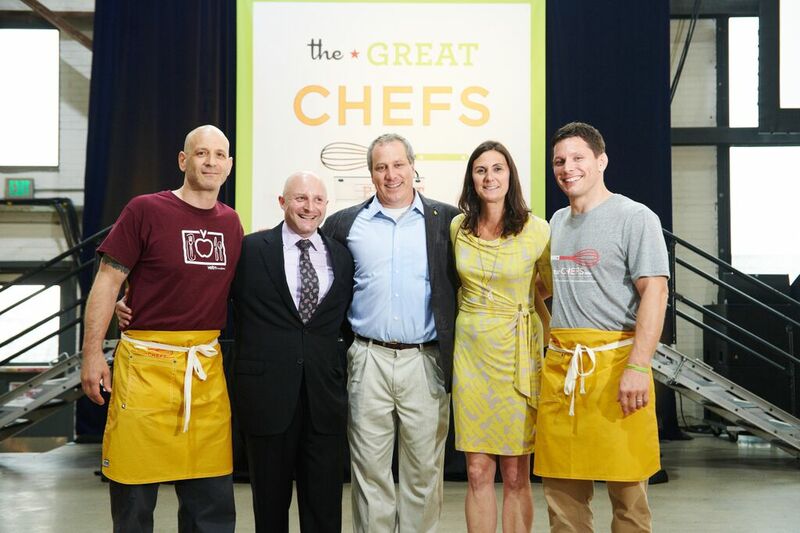 On Tuesday, June 9, more than 40 of the best chefs from across the country and around the world will convene in Philadelphia for the 10th annual Great Chefs Event hosted by the Vetri Family restaurants and the Vetri Foundation for Children. The event will benefit Alex’s Lemonade Stand Foundation and the Vetri Foundation for Children. More than 1,200 guests will gather at the beautiful Urban Outfitters, Inc.’s corporate campus in Philadelphia’s Navy Yard for the culinary event of the year. The event’s equally in-demand After Party will be held at Lo Spiedo, Vetri’s newest restaurant, for chefs, sponsors, and VIP ticketholders, making this the first time the event is completely Navy Yard-based. Tickets are currently on sale at www.vetrifoundation.org. Marc Vetri has hand-selected the list of participating chefs, calling on his friends from around the world, top talent from LA to NYC, Chicago to Italy. The chefs will donate their time, talent, and food, creating delicious samplings for guests at the walk-around tasting gala. Representatives from the country’s best bars, wineries, and craft breweries will also be present, including Joe Campanale, beverage director and co-owner of L’Apicio, L’Artusi and dell’anima in NYC, Gary Fish, founder of Deschutes Brewery in Bend, OR, and many more (Please see a complete list of beverage participants below). Back to emcee the event again this year is Alicia Vitarelli, co-anchor of 6abc’s Action News at 4 p.m. and its weekly entertainment program, FYI Philly. I hope to see you there and for more information and to purchase tickets visit www.vetrifoundation.org. or www.alexslemonade.org.